Enjoy this fantastic self drive package for 8 days exploring the beauty of the Panoramic Route combined with a safari in the greater Kruger National Park. This tour is just a guideline and sample itinerary only. You can extend or shorten it as you please, upgrade or downgrade accommodation and amend it to suit your budget and specific requirements. Take a domestic flight from Johannesburg OR Tambo Airport to Hoedspruit Airport – situated near the Kruger National Park. On arrival at Hoedspruit Airport – collect your vehicle hire – and proceed at a leisurely pace to Hazyview where you will be spending two nights. 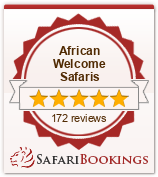 Day 3 & 4 Your Kruger National Park Safari begins! Today you will depart Hazyview and begin one of the highlights of your trip. Enter the Manyeleti Game Reserve where you will enjoy spending two nights at the luxury Tintswalo Safari Lodge – a lush, exclusive lodge nestled between the Timbavati Private Reserve to the north, Sabi Sand Reserve to the south, and open to the Greater Kruger National Park on its fenceless eastern boundary. Resting amidst an ancient sycamore tree grove that overlooks a waterhole frequented by large herds of elephant and other big game, Safari Lodge is a pristine wilderness reserve abounding in big game and spectacular bird life. Morning and afternoon and evening Game Drives , Bush Walks or simply enjoying the tantalizing sounds of the African Bush. Tintswalo Safari suites and lodge are all situated along a seasonal river bed among an ancient sycamore tree grove. The exquisitely appointed main lodge overlooks a waterhole frequented by a large herd of elephant and other big game. The Explorer suites and Presidential are all linked to the main lodge by raised wooden walkways. This blissfully quiet retreat enjoys shade and peace beneath a leafy canopy of ebony trees. As one of only 12 guests, you feel instantly at home in this luxurious lodge, where classic interiors enfold guests in quiet style and elegance. Day 8 All good things must come to an end! Enjoy your last early morning game drive at Dulini followed by a hearty breakfast.